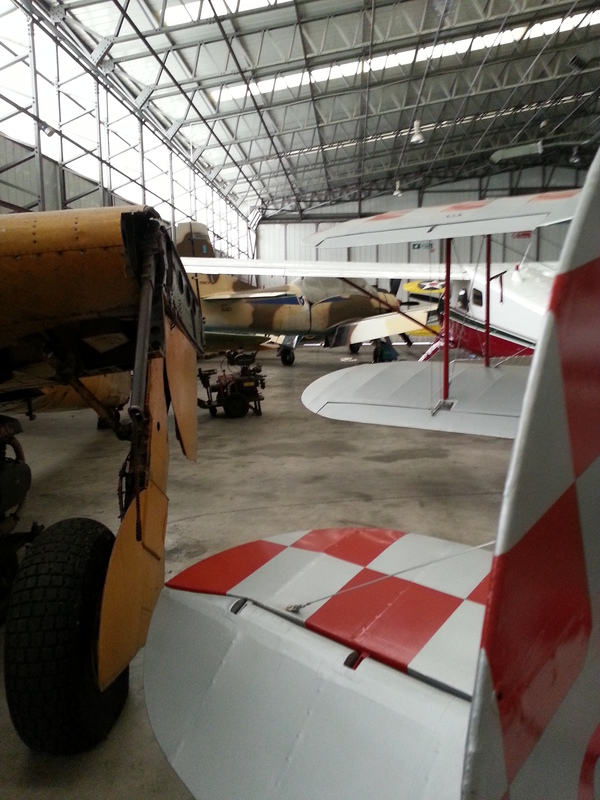 I made a start on these a few weeks ago but then ran out of time to finish due to Air Show preparation. 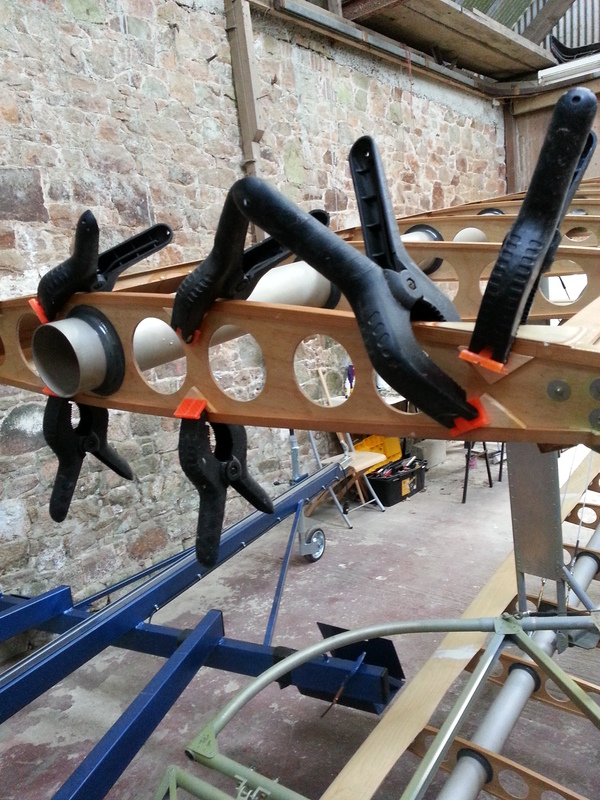 The aim is to produce 4 wing pin support brackets to support the longer alloy tube guide. I prepared one of these I created a short length of alloy tube to allow me to line up the exact position. Unfortunately the shorter stem allowed for some movement which, extrapolated up, mean that I had drilled the hole about 2mm out. 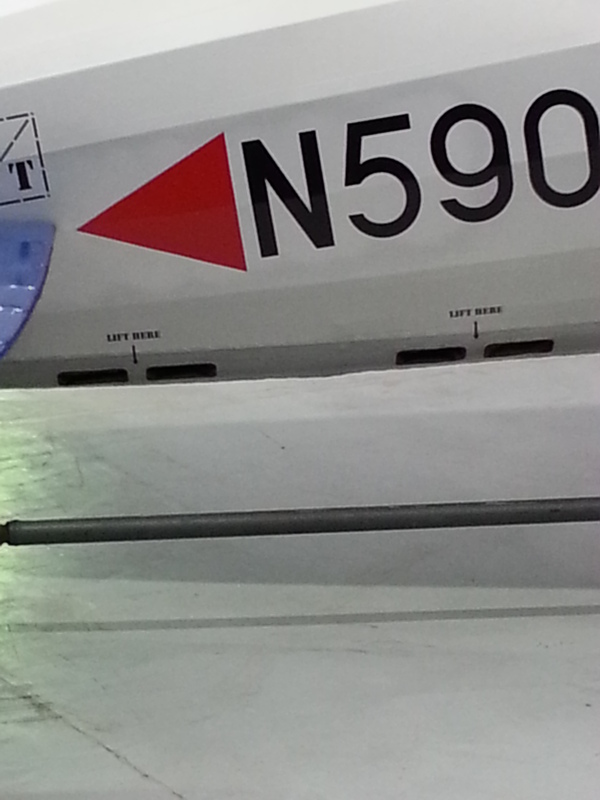 This left the wing pin impeding the leading edge and so was no good. 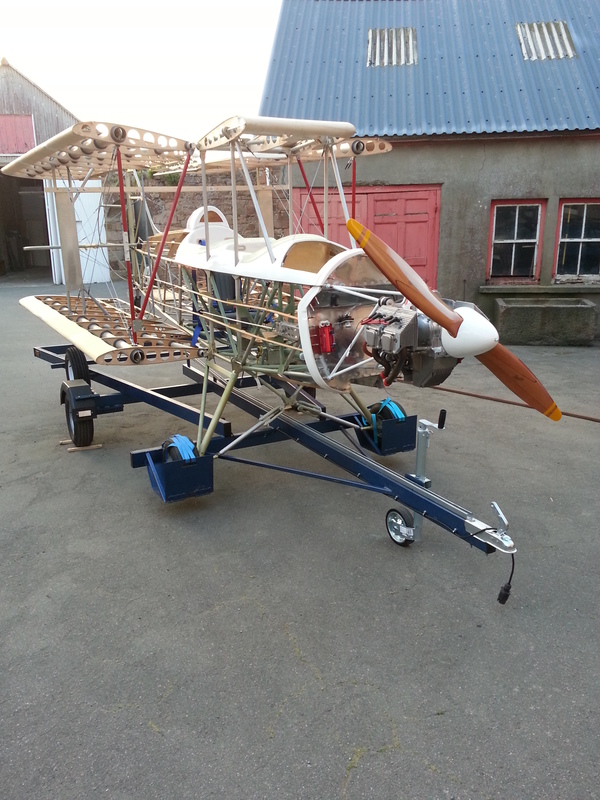 A quick email to Ivor at TLAC and a replacement is in the post along with a replacement aileron turnbuckle (I managed to cross thread one on the 3rd de-rigging). 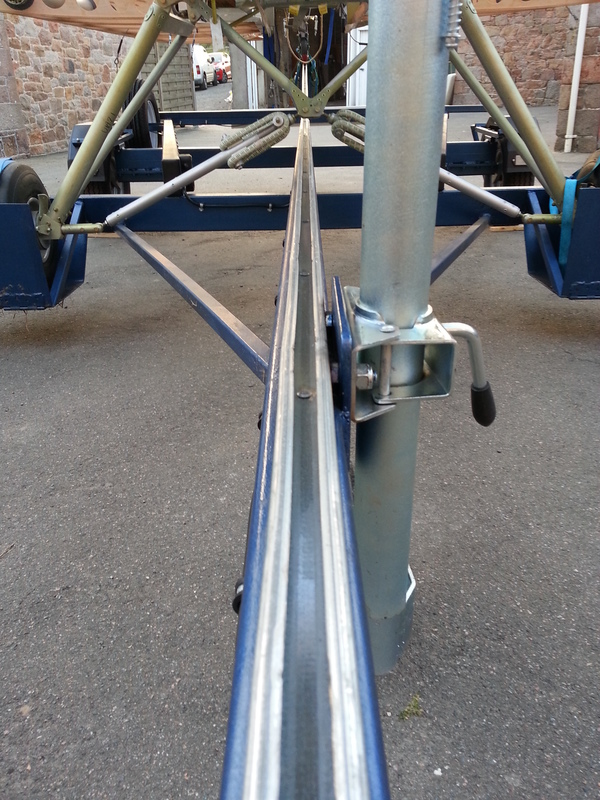 Now I have a better more reliable method of aligning holes and have done 2 of these brackets now. 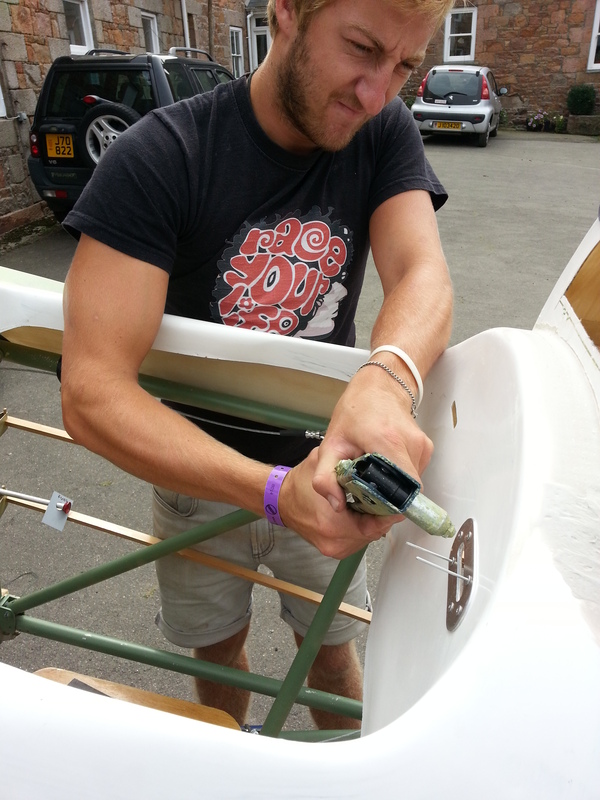 Just need to insert the right angle steel handles so checking with Mike the best way of doing this into the alloy tube. 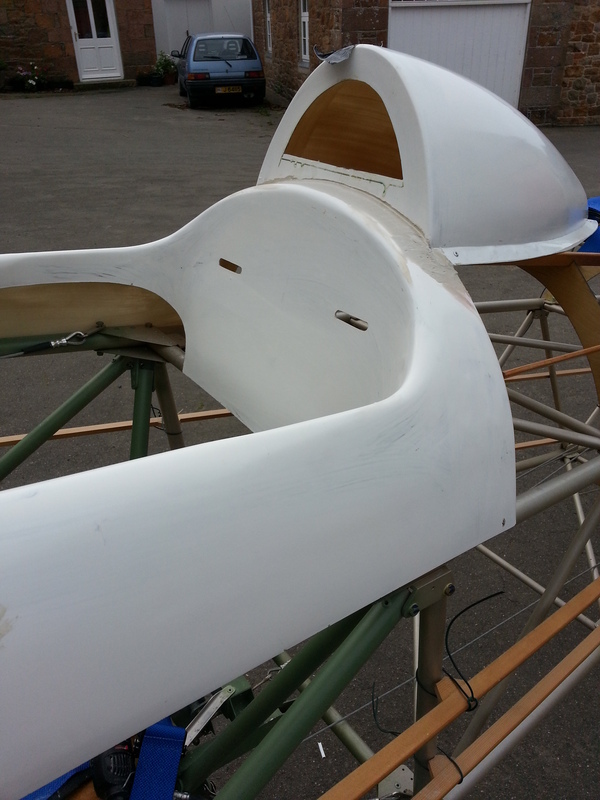 Then I can trim to length and plan to wrap the alloy wing root fairing around. Had a suddenly planned trip over to visit my very ill mother and take my Dad out for a well earned break. 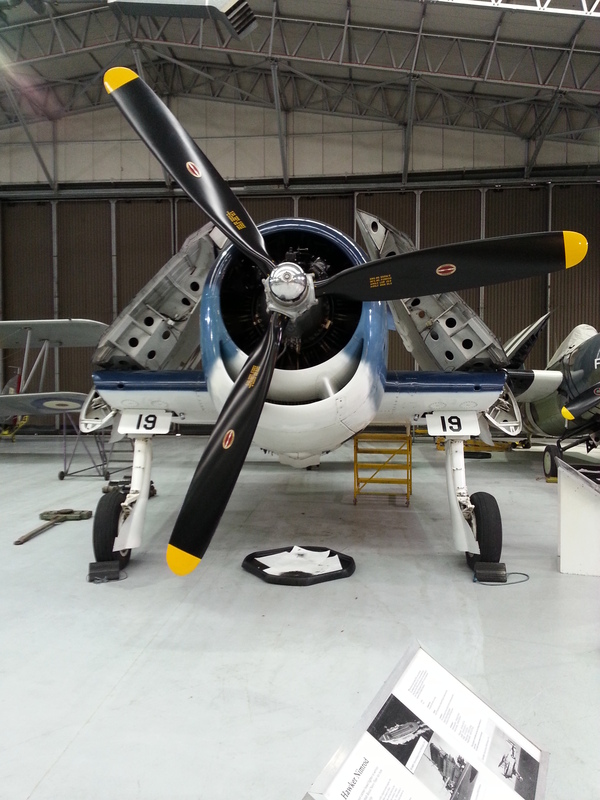 Try to visit Duxford at least every two years … what a simply amazing place .. been 20+ times but it never ceases to amaze. 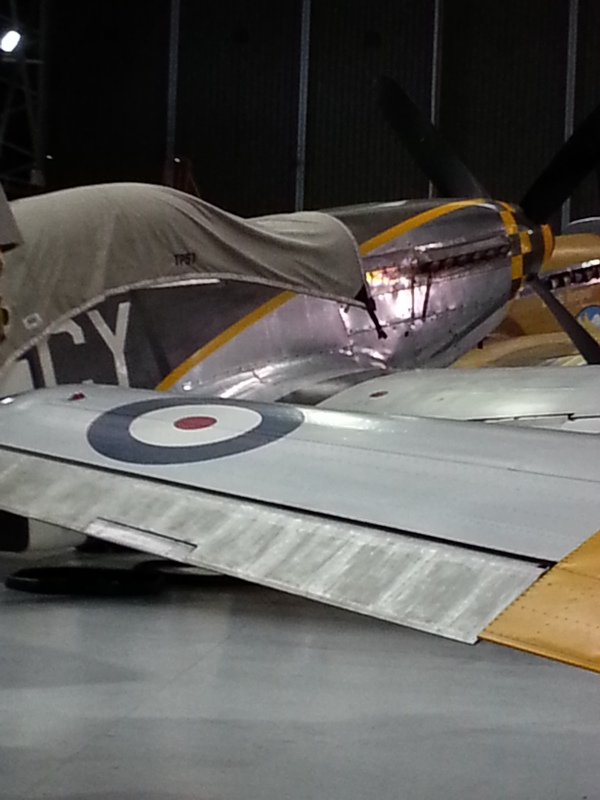 Notice the Mustang is in my planned colours of Yellow and Olive Green ! 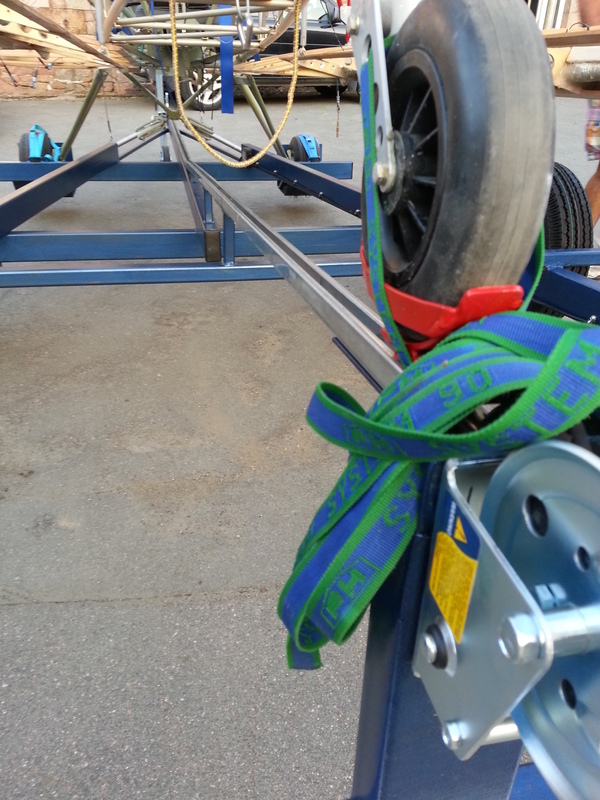 Above – Steel braced with turnbuckles – makes it easier than washer packing ! 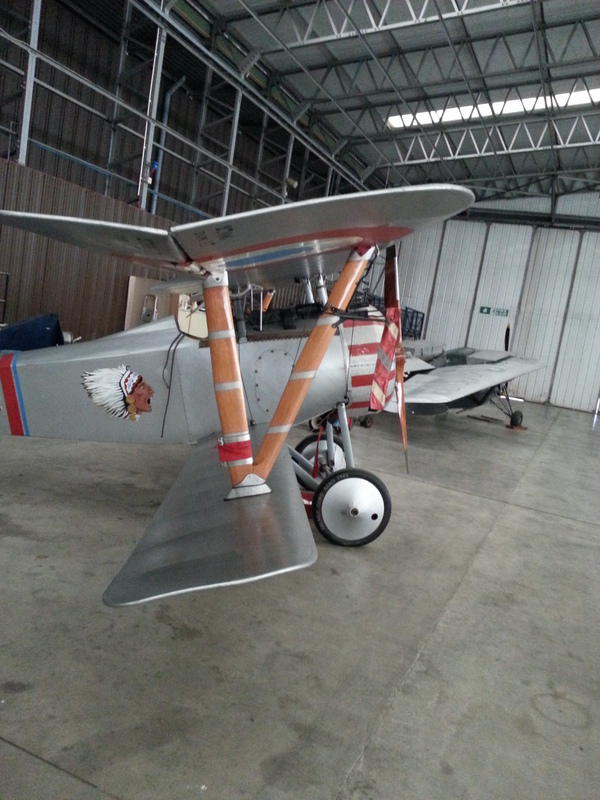 Beautiful Puss Moth folding wings – with a 150 hp engine – swift ! 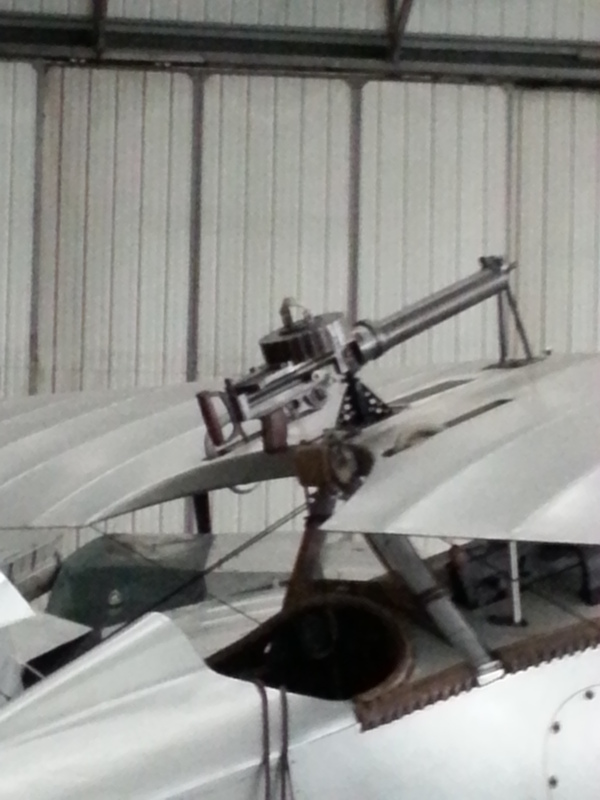 Above – Mocked up gun my boys say should be on the Sherwood ! 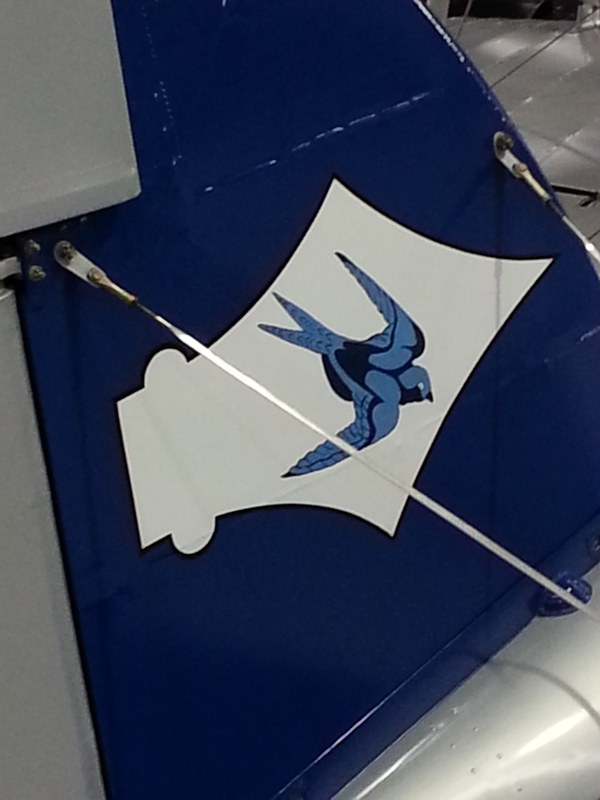 Above – Deck landing and 1″ dia bolts are all that support this folded wing ! 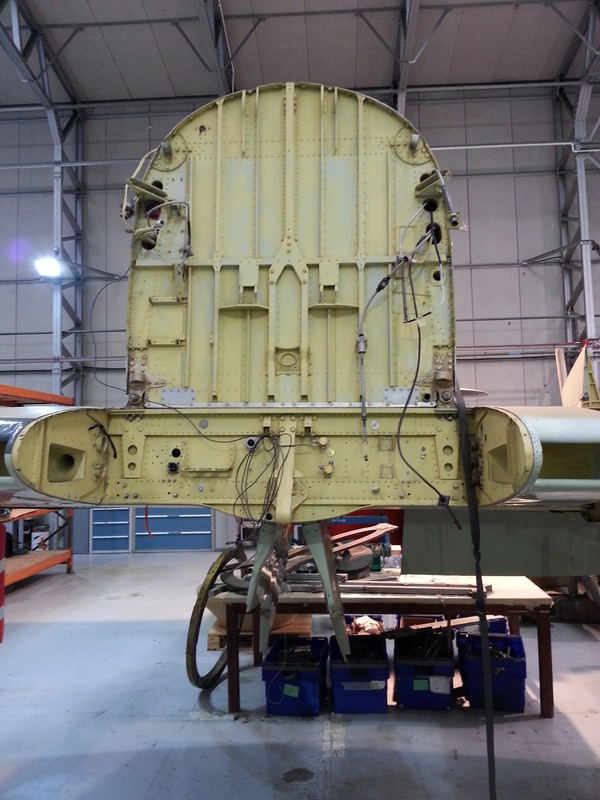 You look at the rivets on the Sea Fury and can just wonder on the skills of manufacture … the wiring and bracing on the early models .. the folding wing mechanisms and bolts holding hugely heavy wings .. post Sherwood, I never look at ANY engineering in the same light ! It really does open your eyes ! 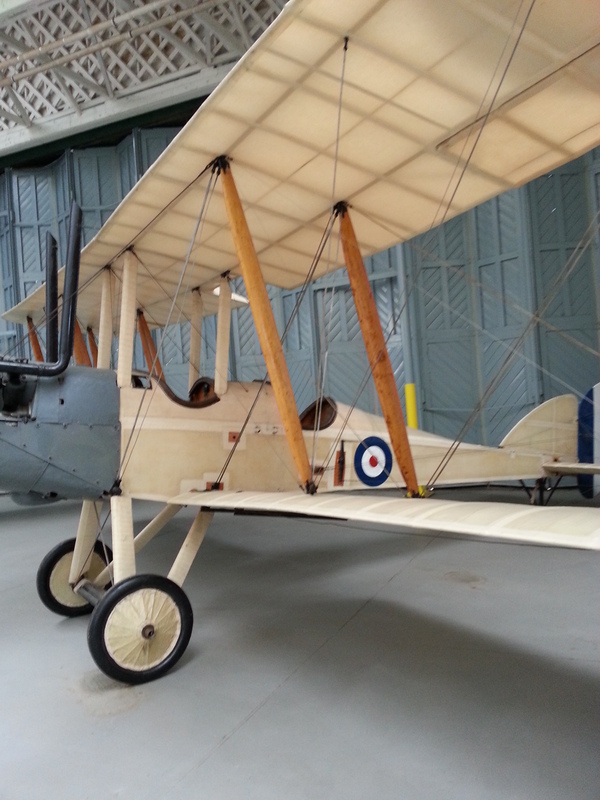 Knuckling down to completing bits ahead of next inspection …. 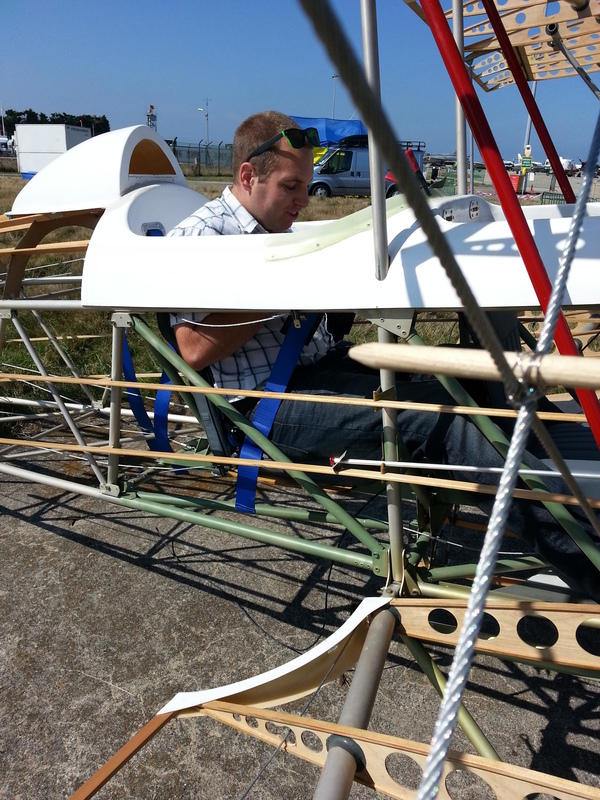 Repairs started – Benjamin was over from the UK so he kindly got under the ‘plane and helped secure it for the startboard leg removal. 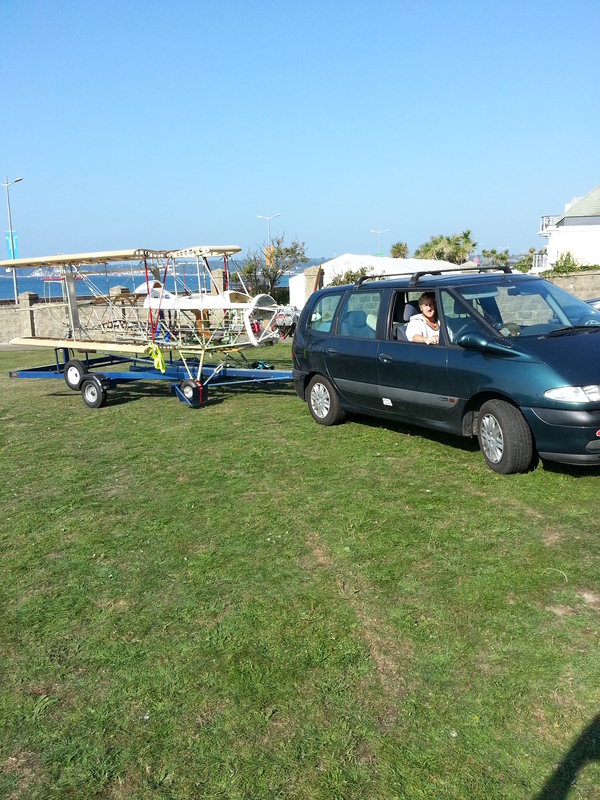 Having had Sam and Will (two of my sons) do masses of work helping trailer the ‘plane down through the narrow lanes of Jersey – think Will loved the sense of power driving in the middle of the road headlights and 4 ways on pulling people over … Sam leaning out of the window giving me constant feedback on 2 feet, 2 feet, 1 foot, 1 foot, 1 foot, 6 inches … minus 2 … ie the distance from the kerb or overhanging bushes !! 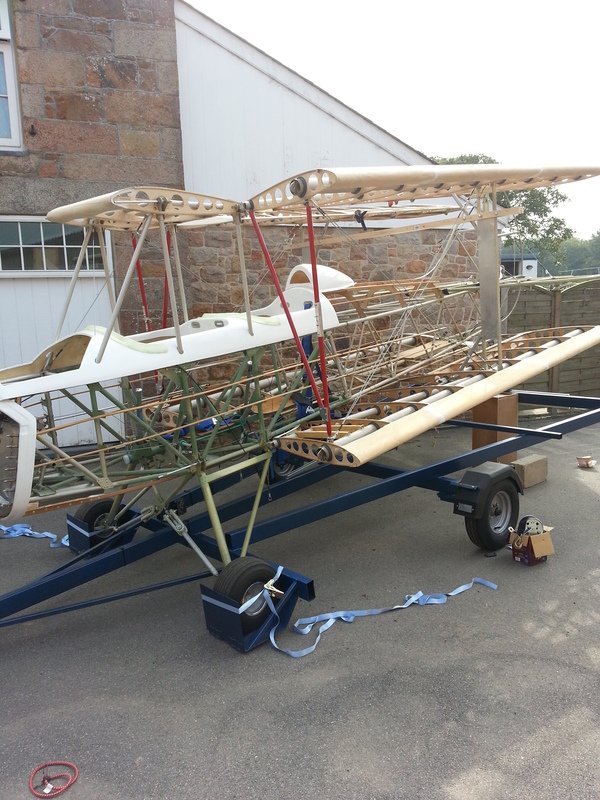 Well, back from a fun packed hectic two days of displaying the build so far in her skeletal form. 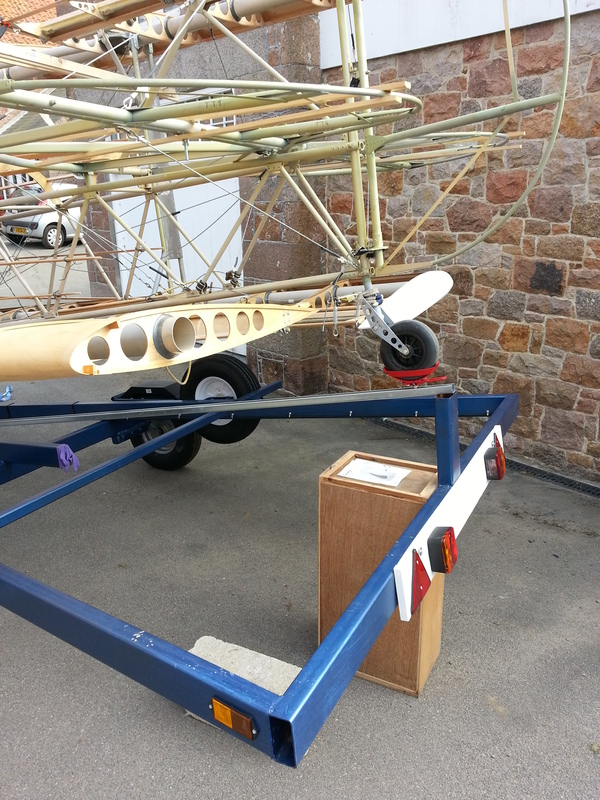 Day 1 saw her trailered up to the south side of the main Jersey apron and parked on the grass. 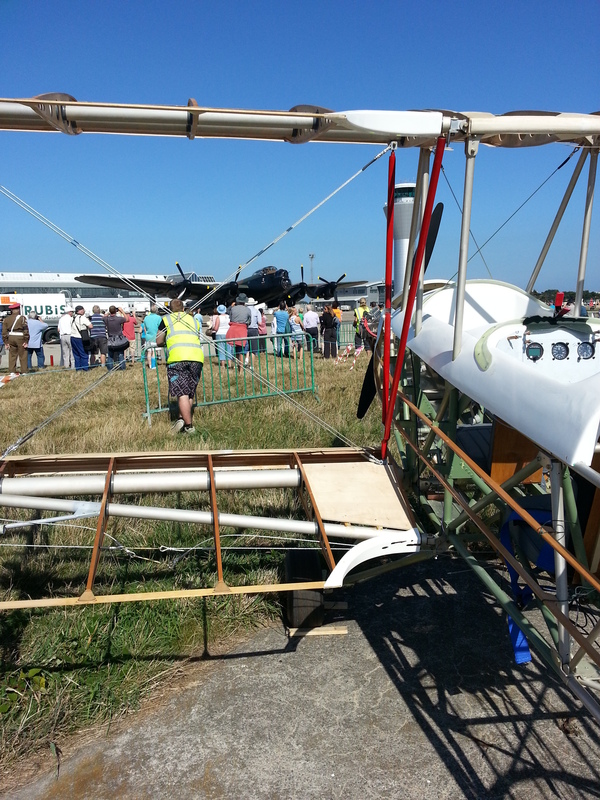 1,000’s of visitors all showing great interest in a plane, the like they had never seen before ! 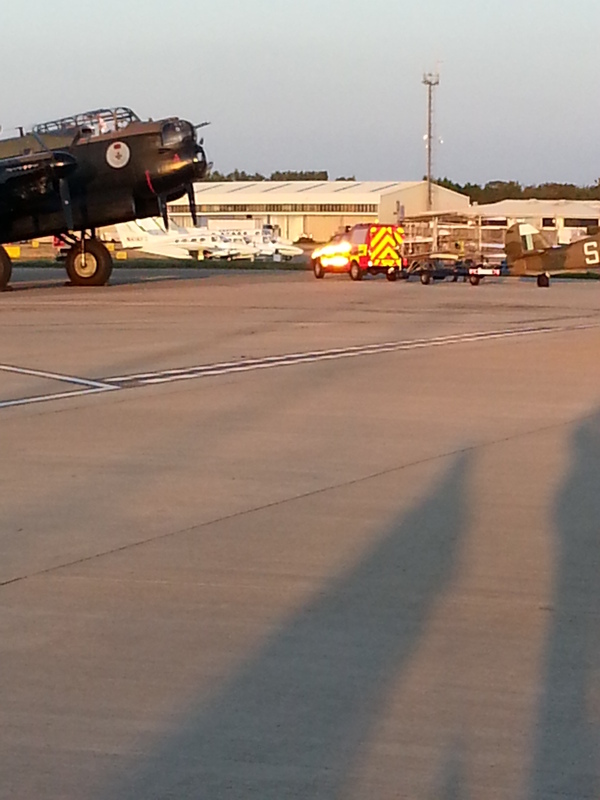 Then the two Lancasters arrived accompanied by a Spitfire 16 and a Hurricane and parked directly opposite the Sherwood. 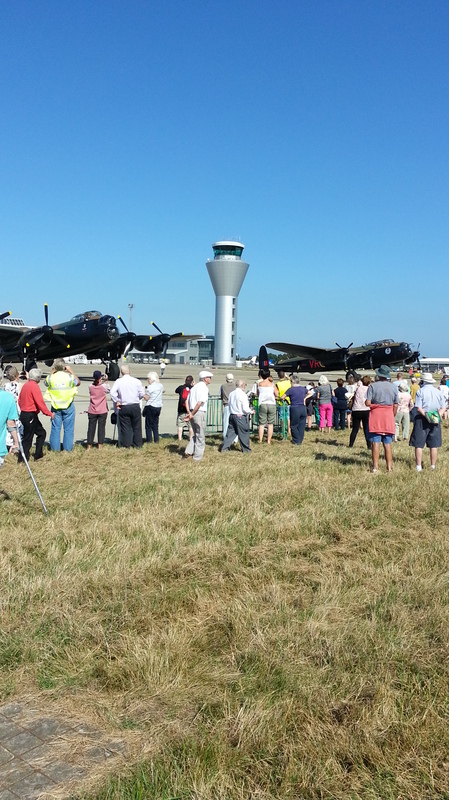 10 Merlins sat there running down in unison .. what a sound !! 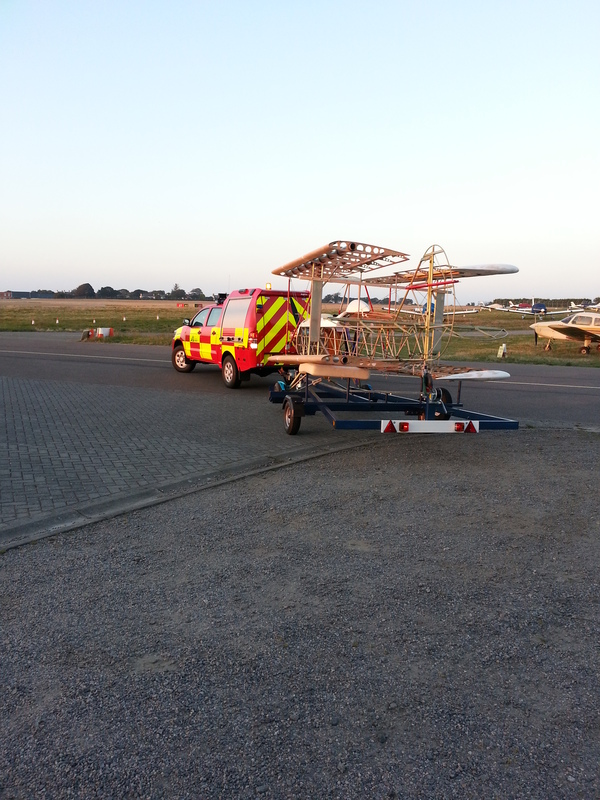 At the end of the session the Airport Fire Service had to tow her airside so we parked her in the hanger at the Jersey Aero Club. They had kindly offered me space to shelter overnight before the display day on day 2 at the main front in St Helier. 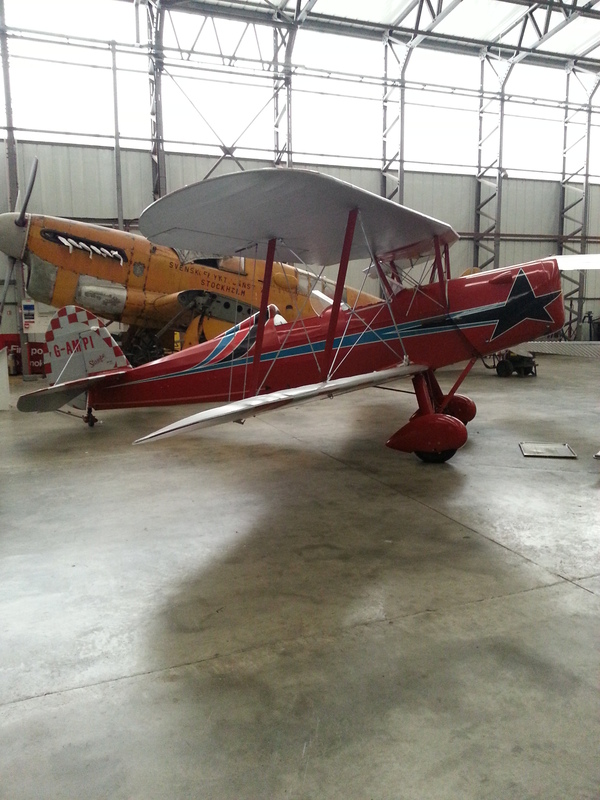 Even better, as the Spit and Hurricane had decided the overnight weather was so good I could take their reserved space in the hanger ! Day 2 started well with the local fire crew arriving spot on time to trailer her back to an exit gate where I would be allowed to hitch up. Then disaster. Their truck and trailer combination hit a raised ramp at the gate and the combination of several tons of Fire Truck meeting a raised concrete lump WITH an iron bar set into the top crunched the right hand trailer wheel, this pulled down and dropped the whole aircraft and bent the lower undercarriage leg. Having got over the ‘crying’ I got down to the serious business of damage checking. It turns out the lower leg has creased (so is a write off) but the top part of that leg – the steel slider is fine along with the top bobbins etc. So it will be a new lower leg, a rubber stop point and lower bush. Emailed Paul at TLAC on Thursday night to share my grief …. and (my hero !) advised to take it off, send it in and he would see what he could do. I need to send it back anyway to take advantage of Paul’s special bungee stretch tool. 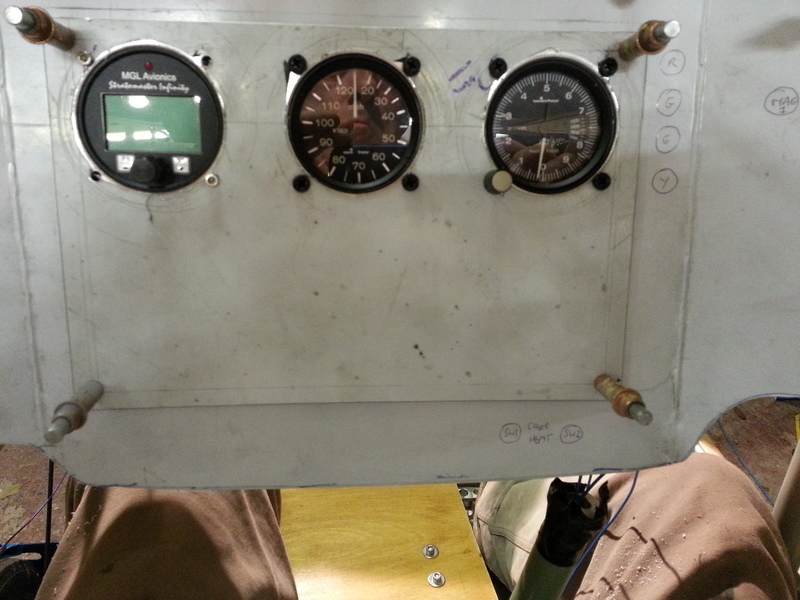 Ray and Russell had been working away at my panel design and we had the removable centre section drilled out to take the small gauges from Winter plus the multi engine monitor. 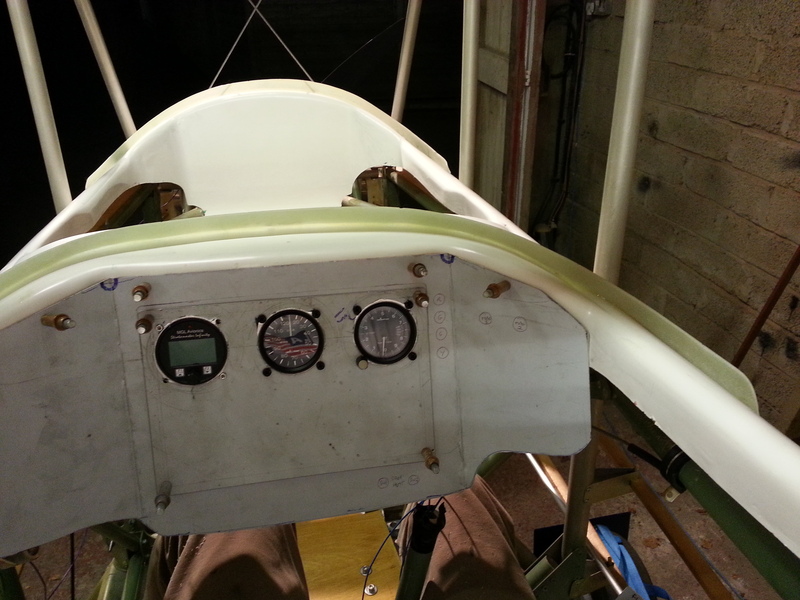 Having test cleco’d into position I will look at the best places for warning lights and switches and fuses but looking to put lights along either the top or right hand side of the centre facing panel, leaving the angled left clear for radio and the angled right for perhaps a fuel gauge. Last night saw the first full load test of the trailer. 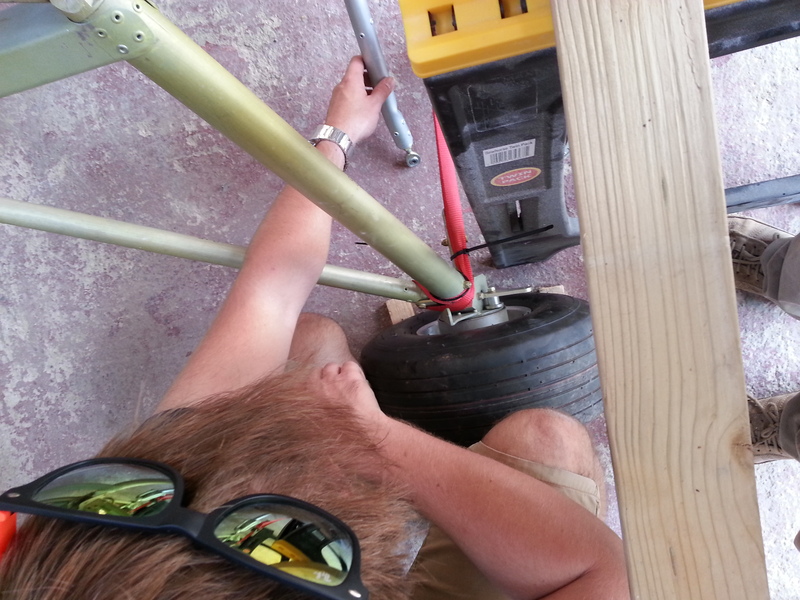 Mike had taken it away following final measurements of the planned dolly/track and worked wonders ! The track runs from one end to the other and the small cradle sits on a quad of bogey wheels. 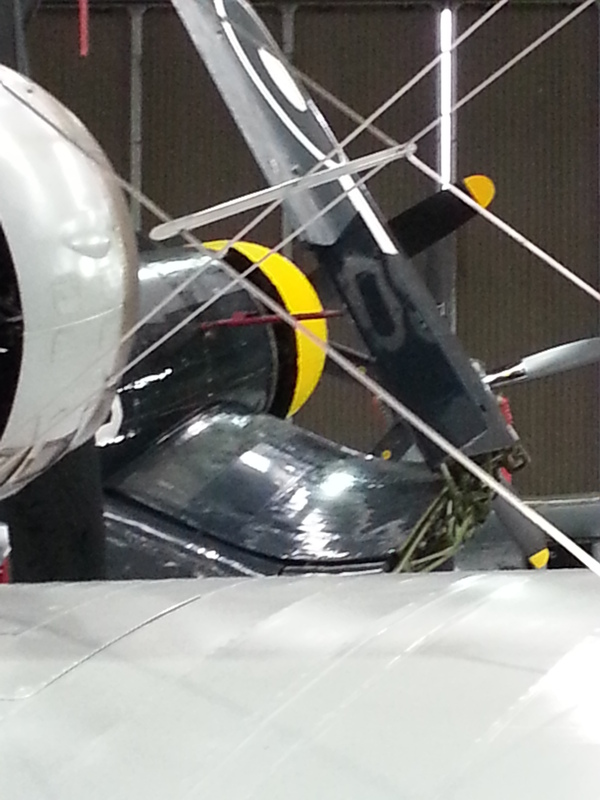 Mike had also sourced a ratchet web handle with a hook that slipped neatly into the base of the tailwheel cradle. It wound up with one finger .. very light and easy. 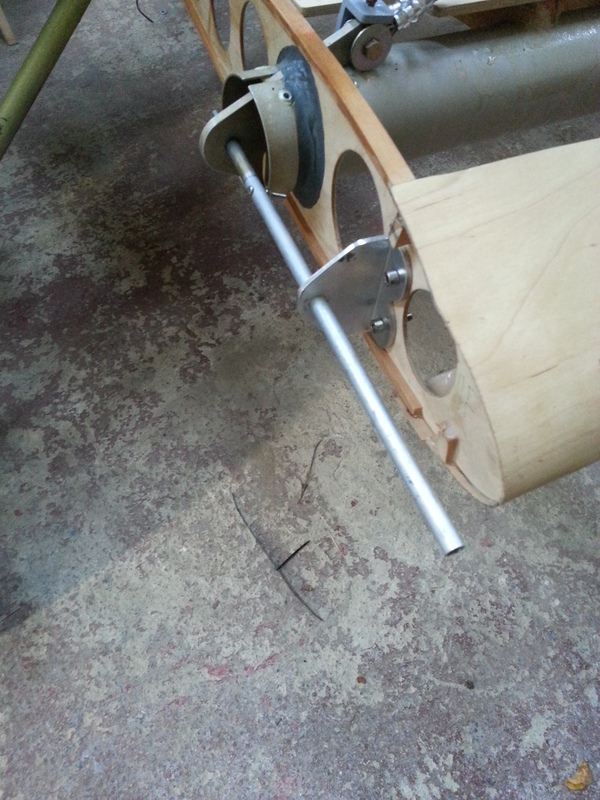 The wheel flaps had also had slots cut and a welded u clamping piece on top. 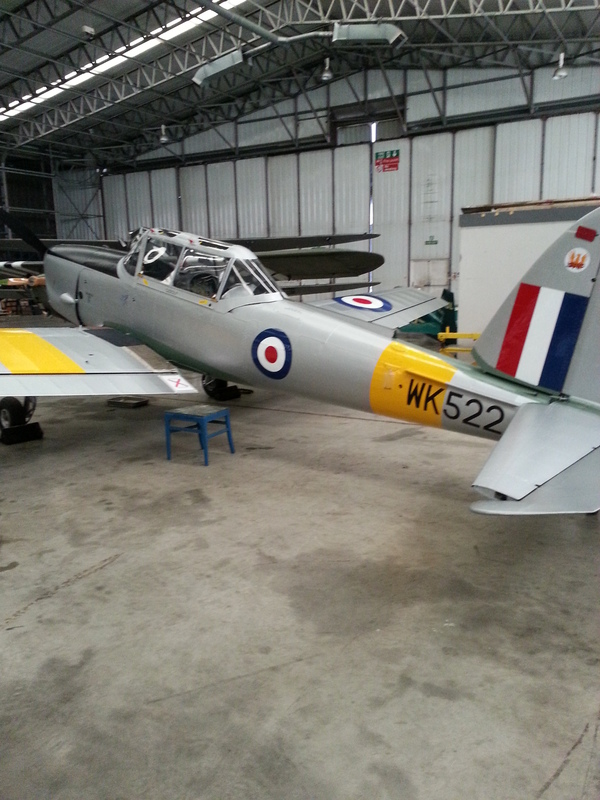 Also, with attention to detail, Mike had lowered the leading edge angled brackets as they were just touching the Sherwood undercarriage. Now we had lots of clearance. 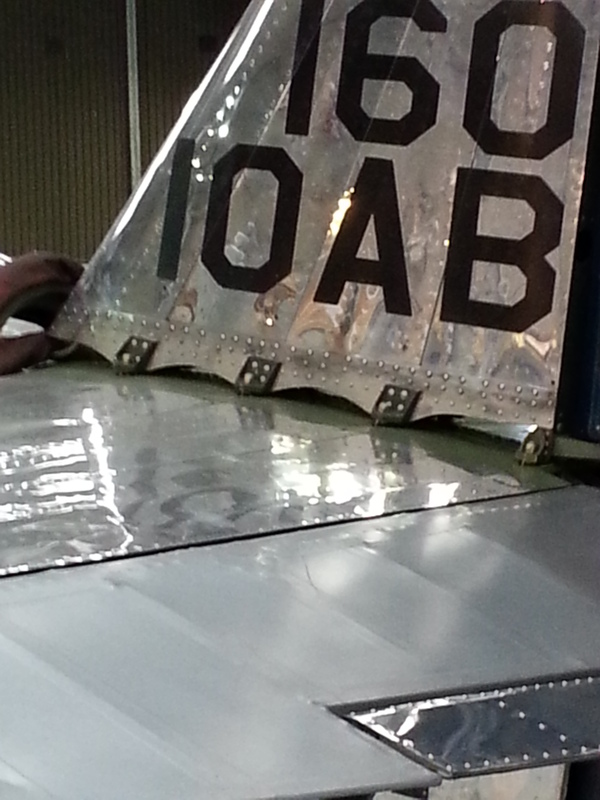 The thing he couldn’t do offsite was set the wing support squares. 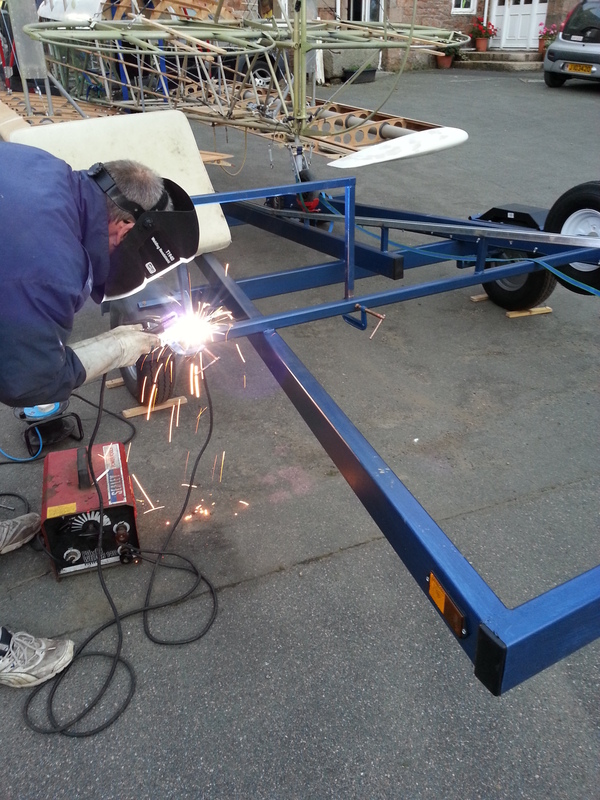 These weld to the rear trailer bracket and will allow us to design soft support cradles for the wings to rest on when trailering. 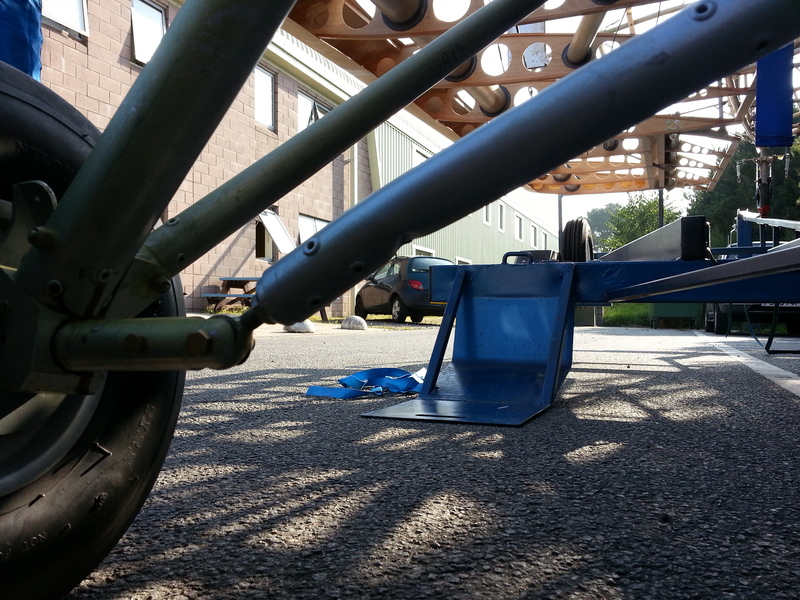 Mike had also added a support wheel at the front to make it easier to man handle onto the towing vehicle. He even turned up with the tin of blue paint so not only was it welded on site but tapped (to remove the flux residue), brushed and then painted. Any Sherwood builders out there who may need a trailer … I am sure Mike would be happy to oblige for a very good price ! Sam filed off the burr and edges from the seatbelt guides and then we both smoothed them off with emery. 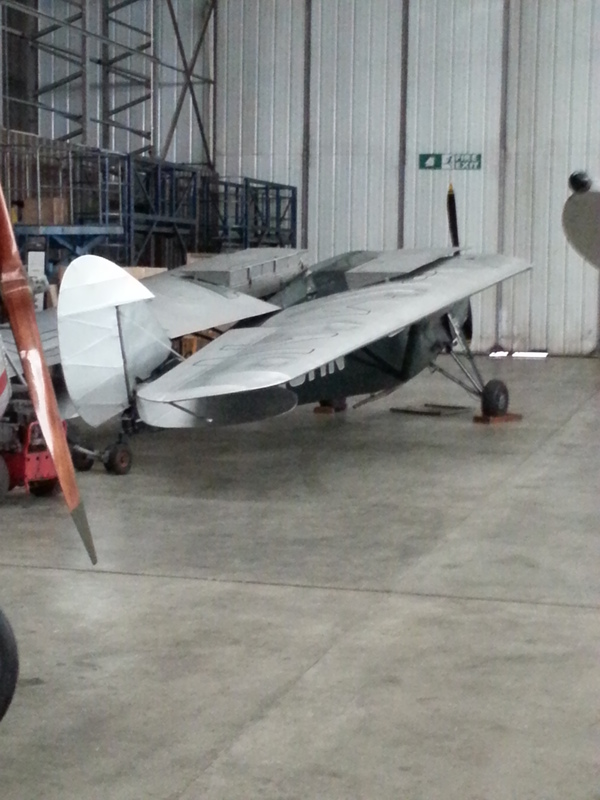 Having previously sat in the seat to get an idea of height for locating these and width we cross checked with photos from the Little Snoring open day and they looked good to go. Pencil marks duly made, we drilled 9mm dia holes at each end and then used a dremel to trim out the guides. 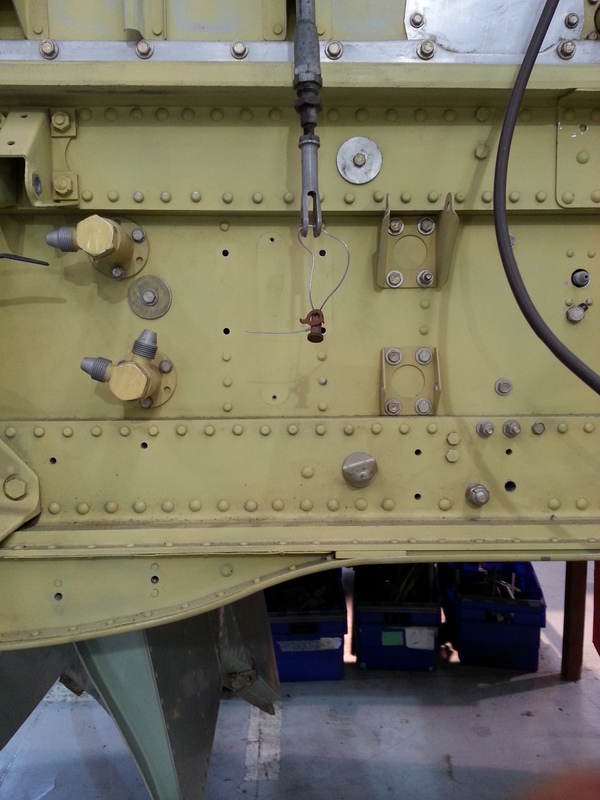 Then filed smooth and set pop rivets in place with backing steel washers. 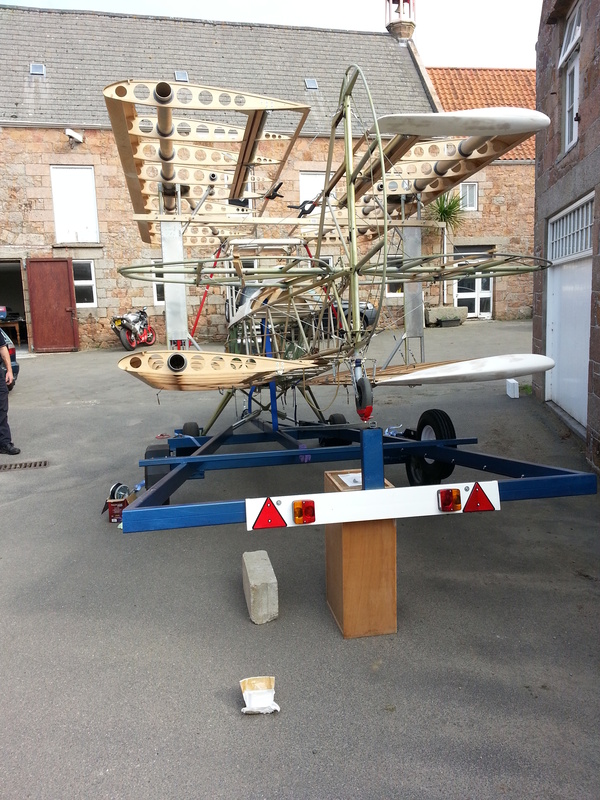 Having got her safely out of the barn and reconstructed we set about checking her alignment on the trailer. 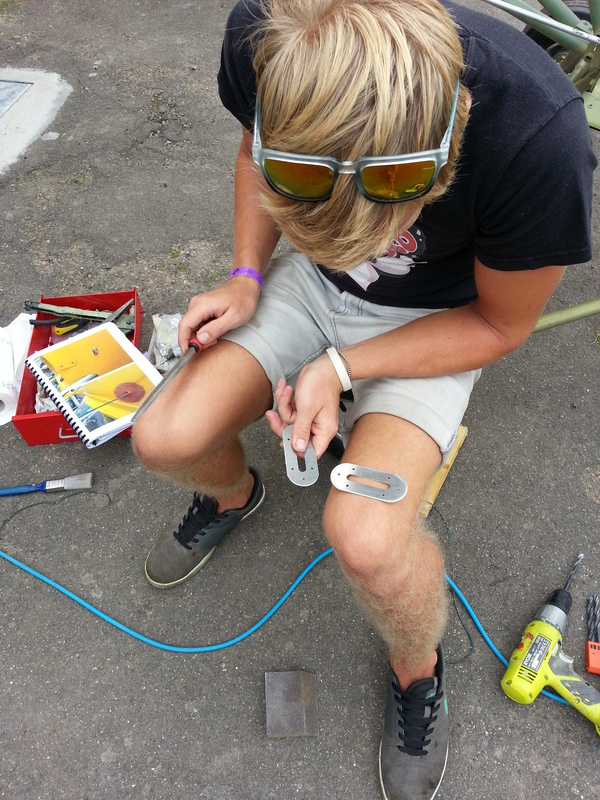 Mike F – my resident genius of all things steel ! 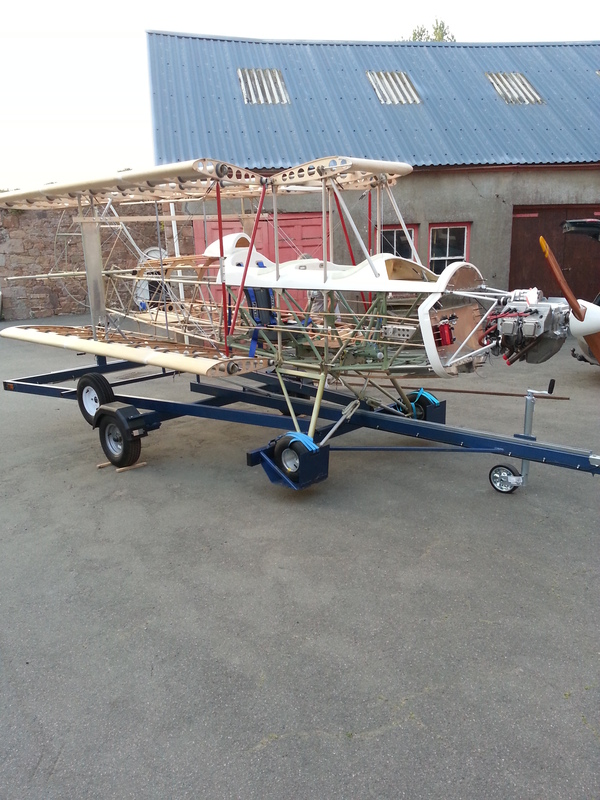 came along with a neatly designed cradle for the tailwheel and some door tracking and a small dolly wheel. We temporarily braced it all up and the Sherwood slid neatly down the track. 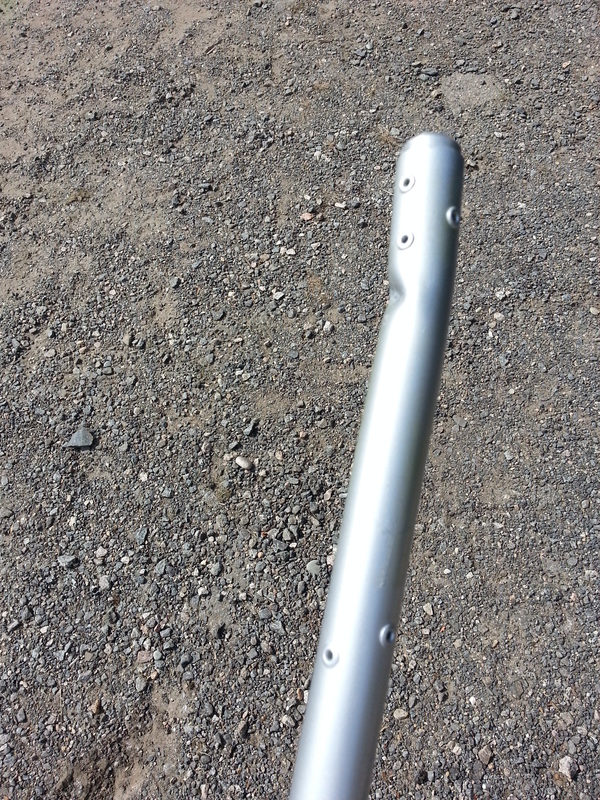 Mike had also got a wind handle and strop. This was offered up to the back end post and would allow an easy one man wind to clip the tail into the cradle and hook on and wind up to the end. What a neat job Mike !